Guaranteed appears in the hit film 'Into the Wild' and was written by Eddie Vedder (singer of Pearl Jam). 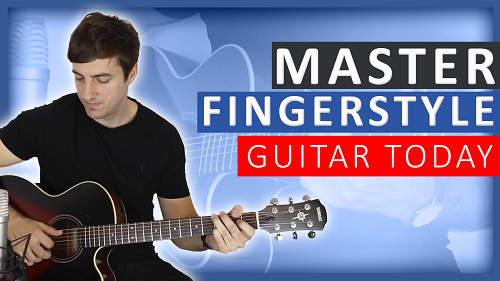 This song is great fun to play and not too tricky to master; so long as you get the fingerpicking pattern right, the rest should fall into place nicely. 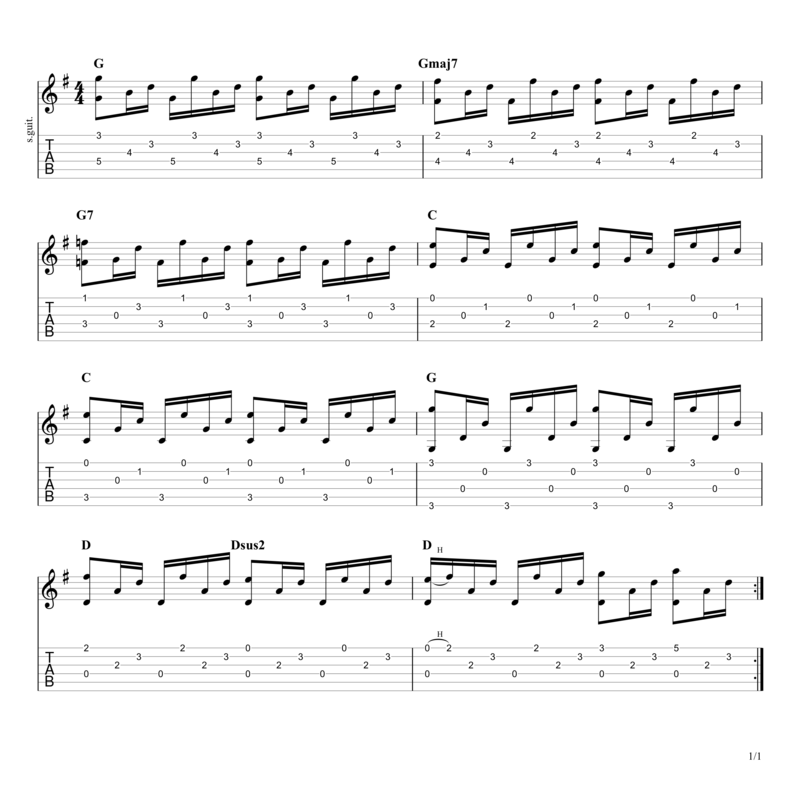 The right-hand pattern is exactly the same one that is used in Kansas' song 'Dust in the Wind'; it's a very popular one that you simply have to know as it appears on many songs. 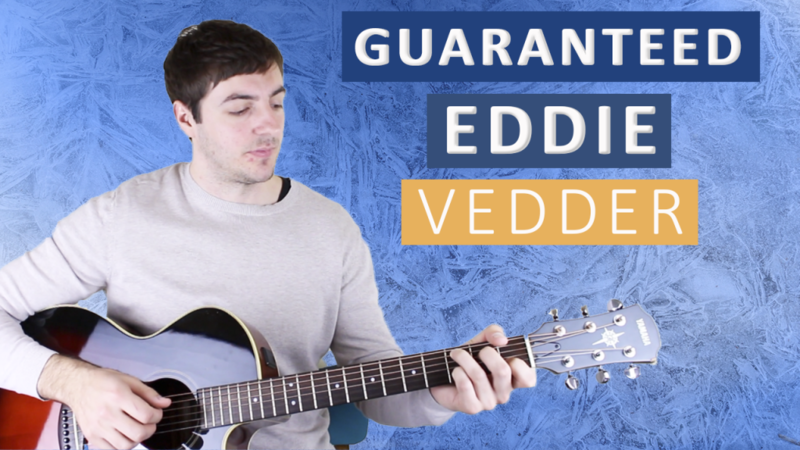 The chord changes in Guaranteed aren't too complicated either, there's no barre chords to contend with and no big stretches to worry about. As long as you're OK with your standard open position chords, then any chords that are new to you here shouldn't require too much strenuous work. Another nice thing about this little song is the structure - it's just the verse repeating itself. Once you've learnt the 8 bars it's constructed of, all you have to do is loop it around 8 times and you would have played the entire song! Guaranteed is no. 17 on my Top 60 Fingerpicking Songs of ALL TIME list. 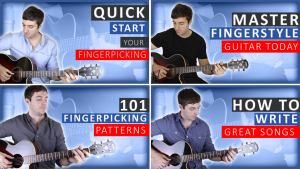 If you've not seen the list be sure to check it out and subscribe to get weekly lessons for each song! As always, take your time when learning this piece for the first time, ALWAYS focus on accuracy over speed and make sure everything is in its right place before you start to speed things up! Simple Travis picking but beautifully compossed and nicely played!